CHDK is not yet officially released for Canon SX 120 IS, but I found a development version which works for my Canon SX 120 IS. For those who are wondering what a CHDK is, it is Canon Hack Development Kit. CHDK is an alternative firmware that is available for all Canon models. But it is not ported to all models including my Canon SX120 IS Camera. With CHDK we can shoot more professional photographs with ordinary Digital Camera. Features and interfaces with Digic 4 Processor which are not enabled by default in the firmware is enabled by using CHDK. Compared to other camera like Sony DSC H20, H50 or Nikon L Series, the one thing makes Canon cameras interesting is CHDK which has scripting support in it. For people who are interested in development, firmware and scripting, this is an exciting feature. CHDK allows you to have much more features in your camera than the normal ones, For Eg, CHDK can be used to show live histogram, Time lapse photography, Motion Detection etc. With CHDK you can also do scripting to automate the process of taking photographs. Although Canon has not acknowledged CHDK Firmware, trying out is harmless as it does not change the in built firmware. We can use CHDK without voiding the Camera Warranty, as the changes we make is only on SD Card. 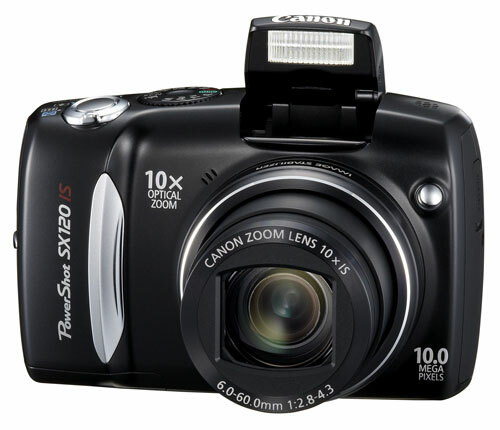 The files for CHDK on Canon SX 120 IS are attached with this post. I downloaded this and used it back, now I do not remember the source, anyway thanks to someone for the CHDK partial port. Copy the contents in CHDK folder to your Memory Card. i had install my chdk and chdk ia well running but my shutter speed is valid untill 1/2500 only.. why and how?? I'm looking for this too! I can't get it to take more than 1 photo in timelapse. which camara company is good and reliable..
i can´t install the chdk, 1000 times and nothing, somebody can helpme pleace? Canon SX130 CHDK hack, it works! I found out how to make it work. I posted a step-by-step with the newest version of the CHDK I could find. This method does NOT require you to make a bootable card. You just copy the files and it runs! Here is my post, let me know if you have any questions. Remove 10min limit on videos? and SX130is support? Hello, i was just wondering if this custom firmware will remove the 10minute HD video limit on my SX130is? Is it even compatible with the SX130is? CHDK for SX120IS need not be compatible with the SX130IS camera. the chkd attached in the page work with any sx120is firmware ? I am afraid I am quite simple in my demands for Chdk... I have been using Chdk for my A530, and all I really have used it for so far is saving RAW Files. Is the SX120 Beta competent at that? CHDK gives you custom settings for Video such as the Video Bitrate and Video Quality settings, you can set the custom bitrate and quality for thte video which is not possible with the original firmware. Moreover while recording video Optical Zoom is disabled. With CHDK Optical Zoom is enabled for Video Recording (although the zooming noise may also be recorded in your film). Hi, Thanks for the blog post. I have an sx120 IS and tried doing what you have in your post. I can manage to get the "hacked" menu options eg extra photo options and stuff. But what i cannot manage to do is to use these settings, i when to the shutter speed menu and changed a few values ( including that "1" value on the sub menu ) but each time it had no effect on the picture at all. Could you tell me if/how you used the software to get long time lapse photos ( eg >15sec )? Is it possible to actually use these settings since its only a beta software?